Providing you the best range of brilliant hydraulic oil 68 no., brilliant hydraulic oil 32 no. and brilliant hydraulic oil 46 no. with effective & timely delivery. 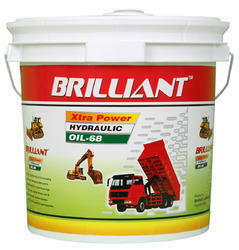 Brilliant Hydraulic Oil 68 No. 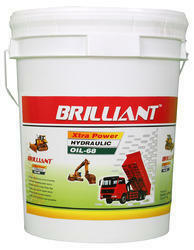 Brilliant Hydraulic Oil 68 No. is a high-grade ep - hydraulic oil series based upon selected, solvent-refined base oils having a naturally high viscosity index. Brilliant hydraulic oil may be used for both heavy-duty hydraulic equipment and light-duty gearboxes and bearings. with the exclusion of turbines, perlus h may also be used for lubrication systems, general lubrication, and vacuum pumps. These oils are unlikely to present any significant health or safety hazard when properly used in the recommended application and good standards of industrial and personal hygiene are maintained. Brilliant Hydraulic Oil 32 No. Packing Size(Litres) 1 ltr, 5ltr, 10 ltr, 20 ltr, 50ltr, 210 ltr barrel. with the exclusion of turbines may also be used for lubrication systems, general lubrication, and vacuum pumps. Brilliant Hydraulic Oil 46 No. with the exclusion of turbines, perlus h may also be used for lubrication systems, general lubrication and vacuum pumps.